Usually the eCommerce industry doesn’t get a lot of press unless it’s around the holidays, and people are talking about cyber Monday. But in April and May, Time magazine, The Wall Street Journal and the New York Times featured articles on online shopping. The article topics varied from “What’s Wrong with Online Shopping,” to “Shopping Scientest, Paco Underhill, Tackles Online Retail” to information gathering through online coupons. It was the Time magazine article that originally caught my eye. With a title like “What’s Wrong with Online Shopping,” my interest was certainly piqued. I just wanted to strongly point this out, because I feel like it’s misguided to bring up these points of contention in an article titled “What’s Wrong with Online Shopping.” Because again, these are not problems with online shopping, but of the company themselves. However, Tuttle’s remaining three points are valid drawbacks to online shopping. The “Coupons Game” is starting to become a game that the user always loses. And it’s not helping eTailers any either. If you’re going to provide discount codes, make them easily accessible on the site—you don’t want your user abandoning the cart or checkout to go look for a coupon code on another site. Some sites have even gone so far as to put the most recent promotional code next to the entry box (see the image on the left). 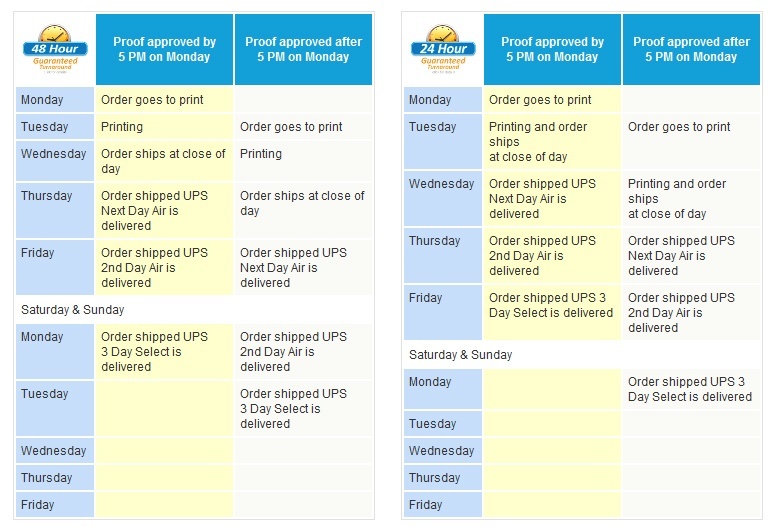 Point 6: Delayed Shipping Cost information is actually a tricky one. 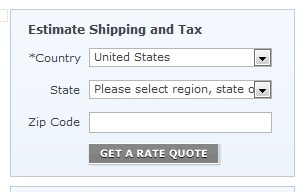 It is always best to tell the user as soon as possible what the shipping cost is going to be. Because, although an eTailer may think the shipping is different from the order total, the customer does not. The customer just wants the bottom line: what is this order going to cost me. And you can’t expect them to go through the checkout thinking the order is $25, only to find out it’s actually going to be $31.99. So, some solutions: Smaller eTailers can breathe a sigh of relief, usually having less products and flat rate shipping makes it very easy to calculate a shopper’s order as early as possible. But what if your business or products are shipped based on weight or shipping zones, and then add on the complexities and seemingly unlimited choices of expedited shipping. Many companies have added a shipping estimator to their shopping cart pages, so users can at least get an approximate answer to their order total. However, sometimes the shipping, the price, the shipping time, the delivery dates, etc is just plain confusing no matter how much functionality is (or is not) included. And this is where a good designer comes into play. If you can’t provide the functionality for whatever reason to solve your shipping problems, at least make the problem very clear and identifiable to the user. This happens through good, clean, hierarchal information design. Don’t just throw paragraphs of text at the user to sort through (and don’t just copy the shipping policies/maps for USPS, Fedex or UPS.) Tailor your information and graphics to your products/business and to your users. Make sure the language used is clear: is the order being processed, shipped, delivered at any given time. For example, this speedy print website provides a shopper with clear instructions on when your order will be processed, printed, approved, shipped and delivered. Tuttle’s last point, “Creepiness of Being Watched all the Time” relates to the NYT articles about how marketers are gathering information non-stop about a user’s online shopping experience. And generally speaking, it’s a little freaky. So much information is gained that, Don Batsford Jr. of Jackson Hewitt said in the NYT article, “It’s almost like being able to read their mind because they’re confessing to the search engine what they’re looking for.” Think about that the next time you Google. Information is gathered about: “identification about the customer, Internet address, Facebook page information and even search terms” all when you just use an online coupon. The average online shopper doesn’t realize that someone (something) is recording all this information, and when they find out, their trust and privacy feels a little violated. I don’t know what the answer is to this, but would love to know what you think. Leave a comment below. 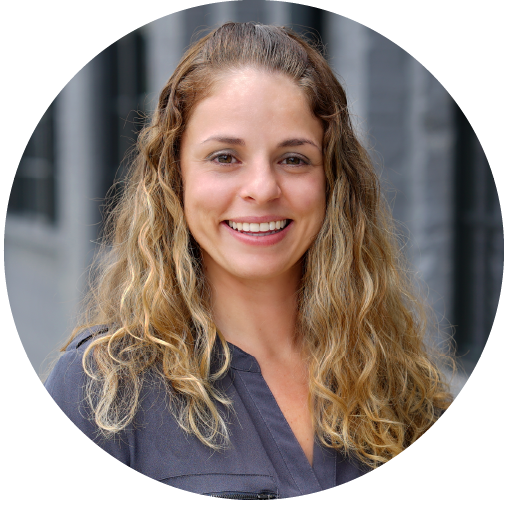 Your eCommerce team can only be strong if you’ve already aligned your business so that your brick and mortar and online stores work as one.